Very much like Starcraft 2, it looks like Blizzard is staying fairly true to the previous chapters of Diablo in terms of gameplay, at least. This was definitely a criticism of mine in regards to Starcraft 2. However, with Diablo 3, I think this is actually going to be a good thing. I am seriously annoyed right now that I have to wait for Blizzard to release a WoW expansion and Starcraft 2 before I’ll even be CLOSE to playing this. It also bothers me when they release these gameplay videos, because just like Starcraft 2, it makes me think that the game is playable to the point of releasing soon. COME ON BLIZZARD! HURRY UP! 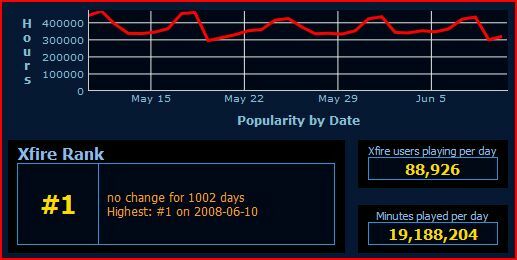 I’ve been playing a lot of WoW lately, and I noticed some interesting statistics, courtesy of Xfire. It appears that an average of 88,926 users have been playing an average of 19,188,204 minutes per day. That comes out to an average of 3.596 hours per day for each user, or about 25 hours per week. My own gaming habits currently consist of almost all WoW. Whenever I get spare time for gaming, I’m playing WoW. I haven’t played any Halo 3 for a while now, and I’ve even got a backlog of 360 titles I need to get to including Ninja Gaiden II, Lego Indiana Jones, and the Penny Arcade game. But why is WoW taking up so much time all of a sudden? It has mainly to do with the content. 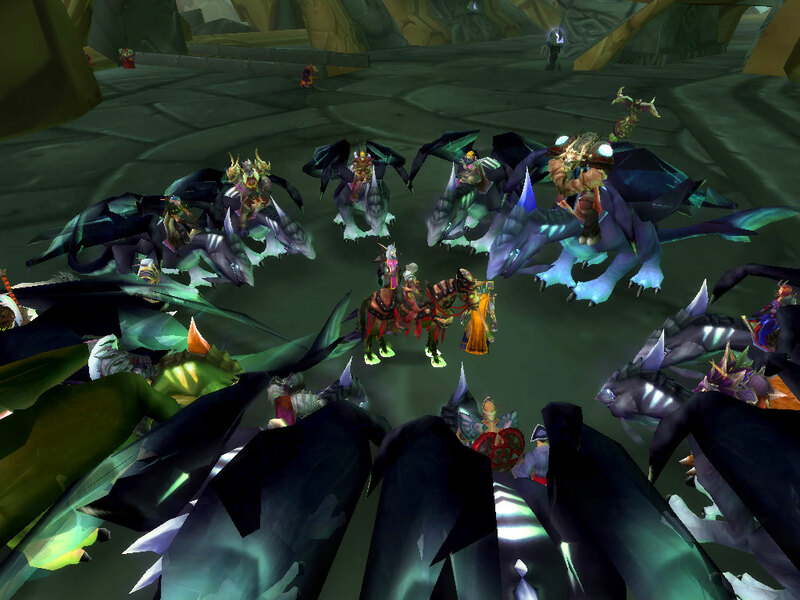 Immediately after the WoW expansion, The Burning Crusade, was released, there was a lot of end-game content, but subscribers started dropping off. A lot of servers ended up with very low populations. However, since then, Blizzard has been very carefully adjusting the end-game content and balancing to help improve classes like warrior become less stressful and boring, while also beefing up some of the mid-game content. That means more quests and more content for leveling up as well as a higher quality gameplay experience when you reach the level cap. No doubt, there is much work that needs to be done by Blizzard, but I am once again in the unenviable position of being excited for the upcoming WoW expansion, Wrath of the Lich King. one song blasting on the speakers. 1. The trusty Halberd. Corvus’s shovel is definitely a good choice, but I think I want something a little longer, and a little sharper. 2. “Doomsday Clock” by Smashing Pumpkins. 3. The Rock. Seems like a nice guy, and I think he could be trusted to watch my back and hold his own against the zombies.